Located along the rolling hillsides of Alexander Valley, Lancaster Estate’s 54-acres of vineyards have proven time and time again that they’re capable of producing fruit that results in incredible wines. The valley is emerging as a leading location for producing Bordeaux style Cabernet-based blends to rival the finest from the Napa Valley. 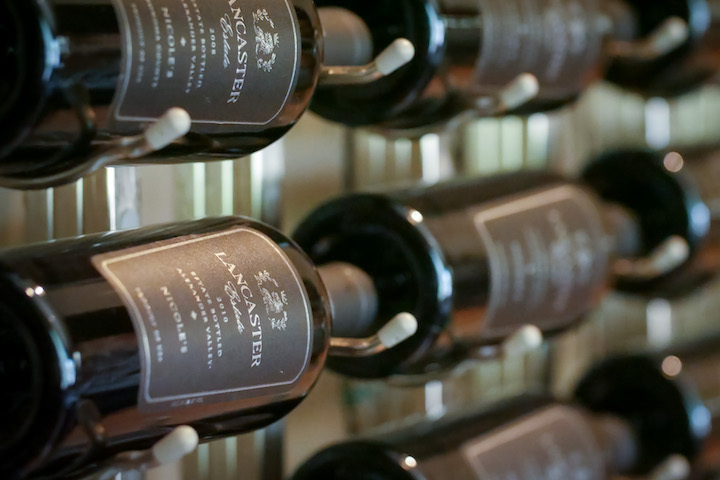 Lancaster specifically is dedicated to growing Cabernet Sauvignon, Malbec, Merlot, Petite Verdot, and Cabernet Franc with the explicit intention of producing the most authentic expression possible. With a skilled winemaking team led by winemaker David Drake, Lancaster Estate has earned a reputation for producing high-quality, rich wines - and both wine lovers and industry critics alike are taking notice. Since then, the acclaims have been steadily been rolling in; Wine Advocate delivered 93+ points to the 2015 vintage of the Cabernet Sauvignon and an impressive 95 points to the 2015 Sophia’s Hillside Cuvée. The 2016 Winemaker’s Cuvée is composed of Cabernet Sauvignon and Merlot from the northern tip of the Alexander Valley AVA, east of the Russian River. The combination of this warm climate and its alluvial and gravelly loam soil is ideal for creating balanced wines of complexity, concentration, and richness - which is exactly what you get with this wine. Black cherry, blueberry, and plum are the gateway to a multi-layered palate of dark fruits, vanilla, black currant, and the ideal tannin-acid structure. No matter which wine you decide to choose, one this is for certain: drinking a bottle of Lancaster Estate's bold reds is an experience you won't soon forget. Ready to try Lancaster Estate's wines for yourself? Shop all options available in the FFWS Wine Shop.